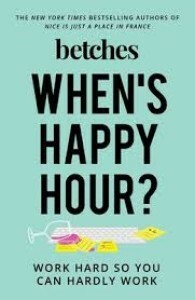 The New York Times bestselling authors of I Had a Nice Time and Other Lies and Nice Is Just a Place in France and founders of Betches.com are back with a guide on how to thrive professionally, get ahead in the workforce, and basically become the Beyoncé of whatever you aspire to do. 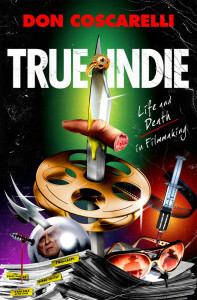 From Don Coscarelli, the celebrated filmmaker behind many cherished cult classics comes a memoir that's both revealing autobiography and indie film crash course. Best known for his horror/sci-fi/fantasy films including Phantasm, The Beastmaster, Bubba Ho-tep and John Dies at the End, now Don Coscarelli’s taking you on a white-knuckle ride through the rough and tumble world of indie film. This memoir fits an entire film school education into a single book. It’s loaded with behind-the-scenes stories: like setting his face on fire during the making of Phantasm, hearing Bruce Campbell’s most important question before agreeing to star in Bubba Ho-tep, and crafting a horror thriller into a franchise phenomenon spanning four decades. Find out how Coscarelli managed to retain creative and financial control of his artistic works in an industry ruled by power-hungry predators, and all without going insane or bankrupt. 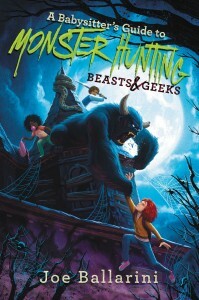 True Indie will prove indispensable for fans of Coscarelli’s movies, aspiring filmmakers, and anyone who loves a story of an underdog who prevails while not betraying what he believes. The key, says Webb, is not to fight fear or try to beat it back, but to embrace and harness it. In the process, rather than being your adversary, your fear becomes a secret weapon that allows you to triumph in even the most adverse situations. 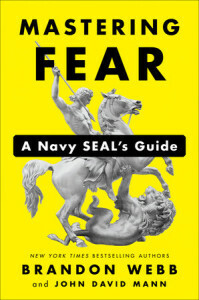 In Mastering Fear, Webb and his bestselling coauthor John David Mann break this transformation down into five practical steps, creating a must-read manual for anyone looking for greater courage and mastery in their life. 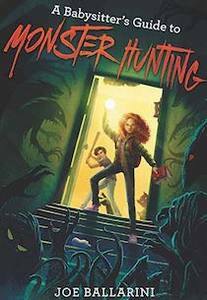 Goosebumps meets The Last Kids on Earth in the second action-packed adventure in a hilariously scary series about a secret society of monster-bashing babysitters. Kelly’s been a celebrity ever since she defeated the Boogeyman and his army of nightmares on Halloween. But now all the other monsters want revenge. 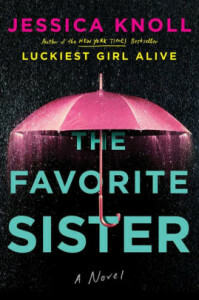 And if Kelly’s going to survive Babysitter Bootcamp, she’ll have to face the Spider Queen, whose wicked web turns her parents, BFF, and middle-school teachers into mindless minions. All in a night’s work! Spiralizing isn't just about noodles anymore, so blogger Ali Maffucci satisfies paleo, vegan, vegetarian, and gluten-free diets with 125 healthy recipes for vegetarians and meat-eaters. Now, for the very first time, she is going beyond expectations—and beyond spiralizing. In this book she shows you a myriad of additional ways to add nutrients to your diet, reach a personal health goal, or just make good-for-you meals at home. Sweet potato slabs replace toast, cauliflower becomes pizza crust, broccoli turns into tots, avocado gets moussed, jackfruit mimics pulled meat—and that’s just the beginning. 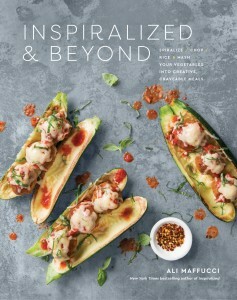 Among the brand-new recipes, you’ll find Rainbow Lasagna, Apple French Toast, and Cauliflower Steaks with Chimichurri. Rest assured, Ali still offers up some favorite spiralized dishes, too. Get ready to get your veggies on. Like a self-help book found at Hogwarts, The Keepers of Color playfully guides you on a creative hero’s journey through magic, myth, and mindfulness to rediscover the greatest work of your life—you. 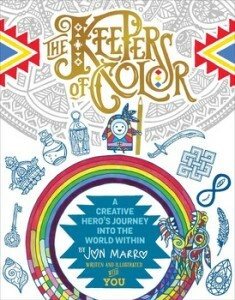 Begin your own hero’s journey from the mundane to the mystical with The Keepers of Color, a vibrant coloring and journaling workbook that will inspire you to enter a realm of limitless possibility, magical insight, and self-reflection. Unlike traditional coloring books, this is an intentional and sequenced journey from the first to the last page, providing you with the spiritual strength to celebrate your artistic self. 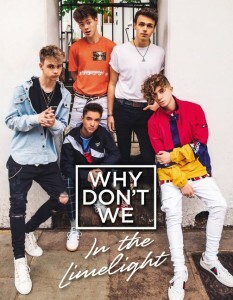 Use this book as an allegory to any personal endeavor: a new creative project, relationship, career move, educational decision, or any other adventures you're taking on in life. Discover the beautiful and healing fountain of creativity we all harbor within ourselves and go confidently after your dreams, overwhelm inner obstacles, and learn how to listen for and answer the call when inspiration strikes. 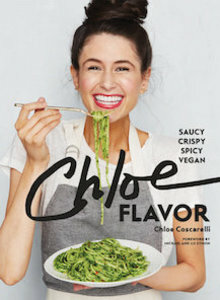 Chloe Coscarelli has revolutionized vegan diets with exciting vegan recipes that are fun to cook and full of flavor. Eating vegan is on trend now because everyone wants to eat better and feel healthier. When she decided to become a vegan chef, she dreamed of changing the way the world ate. This was in the “pre-kale” days, when veggie burgers were frozen, tasteless patties loathed by the general public and if a vegan wanted to eat, well, then she had to cook! Today, corner stores stock their shelves with almond milk and mainstream restaurants pepper their menus with quinoa, tempeh, chia seeds, faro, ramps, and so many variations of avocado toast. There is truly no better time to love to eat than now—and no easier time to be a vegan. Chloe believes the most delicious dishes come from plant-based ingredients, and has debunked the myth that vegan cooking is bland and visually unenticing. Enter: CHLOE FLAVOR. Every recipe here is bold in taste, loud in color, unabashedly unique, and, above all, easy to make. With dishes like Smoky Grits & Greens, Mango-Guacamole Crunch Burgers, and Sea Salted Chocolate Chunk Cookies, this food is for fun, friends, and family—and it’s all about the flavor. Vegans will delight in Chloe’s creations and carnivores won’t miss the meat one bit. 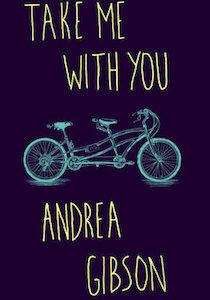 For readers of Rupi Kaur (Milk and Honey) and Atticus (Love Her Wild), a book small enough to carry with you, with messages big enough to stay with you, from one of the most quotable and influential poets of our time. LIVE. LAUGH. LOVE. Or EXIST. SMIRK. LURK. Julie Houts has cultivated a devoted following as “Instagram’s favorite illustrator” (Vogue) by lampooning the conflicting messages and images women consume and share with the world every day. 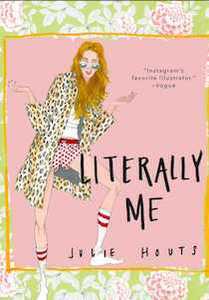 Literally Me marks the launch of a brilliant new social satirist. Julie’s singular voice and beautiful illustrations reveal the truth about the absurdity of life in the social media age: the line between becoming a total “Girlboss” and a twenty-first-century American Psycho is razor-thin.